After several twists, turns, and nail-biting matches, the second appearance of Mortal Kombat (2011) at the EVO Championship in Las Vegas has come to a dramatic conclusion. 2011 winner Perfect Legend has successfully defended his title as Mortal Kombat Champion for the second straight year. He now holds the honour of being only the second player in EVO history to defend his title for two consecutive years, the first being internationally acclaimed Street Fighter player Daigo Umehara in 2010. Prominent Mortal Kombat player Pig of the Hut, well known for his expertise with Mileena and Kenshi, was bested by Perfect Legend and knocked out of the winners’ bracket, then was eliminated by CD Jr. in the losers’ bracket final and received third place. CD Jr. went on to face Perfect Legend in the grand final and stunned the audience by selecting Rain for the first match. Perfect Legend faithfully stood by his trademark Kung Lao and easily defeated CD Jr. in the first match, who then switched to Kabal. Perfect Legend employed many risky but effective combos that paid off in the end, proving once more that he is in it to win it. We at Kamidogu would like to issue our warmest congratulations to Perfect Legend for his second show-stopping EVO win, as well as our utmost gratitude to all those who have made Mortal Kombat’s second year at EVO so great. 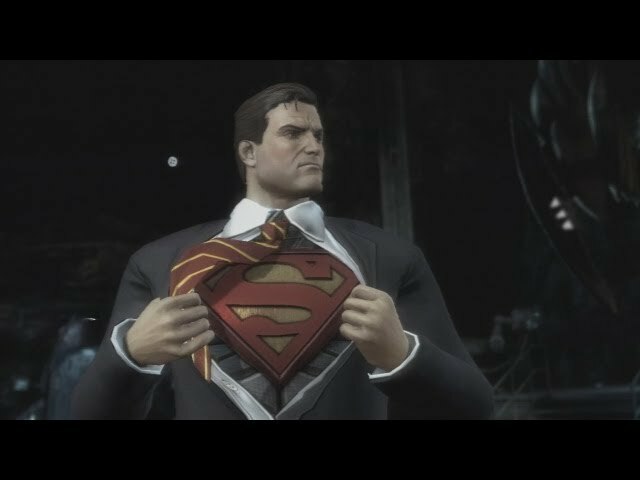 In related news, NetherRealm Studios’ Ed Boon unveiled a fifteen minute gameplay demonstration for the upcoming game Injustice: Gods Among Us, featuring Superman, The Flash, Batman and Solomon Grundy. Will this be the next big fighting game to grace the stage at EVO in 2013?